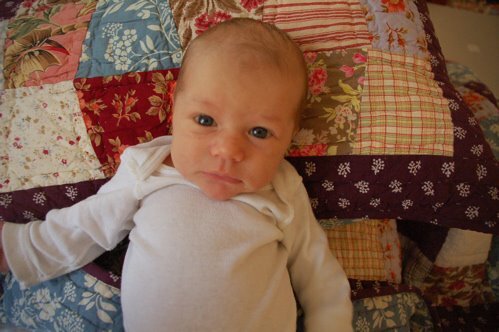 owen is getting so big... and he's just 3 weeks old today. it has been amazing how in just these quick, well... ok, it seems like forever... short weeks he has become so alert and attentive. brian and i were under the impression that babies sleep all the time. not our little owen! after getting his belly full of milk he is wide awake, many times for an hour or two before he goes down to sleep. how can you resist this little guy though?! his eyes are so bright and wide!